I never owned a PlayStation. I actually never owned a console until I imported the very first Xbox. That didn’t stop me from free-loading off most of my friends at the time, making them feed me while I sat on their couch and played games. One of my favourites used to be Metal Slug X, and now I’ll get the chance to ride armed camels once again. 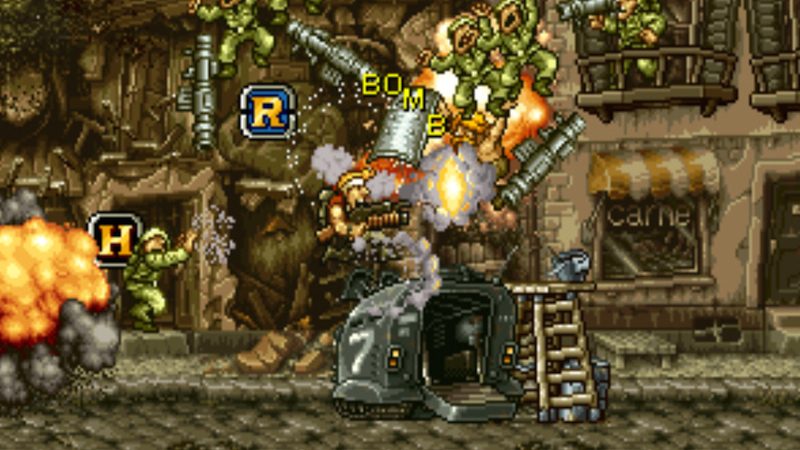 Metal Slug X is coming to Steam in just a few weeks, being released on October 2nd. This version will be the complete six mission experience that launched on PlayStation One over a decade ago, fixing most of the issues Metal Slug 2 had. So expect mummies, massive mechanical worm bosses and armed wildlife all to return in stunning 2D. Just in case your nostalgia meter needed a little replenishing. Metal Slug X is currently up for pre-order, going for a discounted $6. If you choose to wait, you’ll be able to pick up the arcade shooter for just $8. The Steam version will also include a new mission and online co-op play, because it isn’t Metal Slug unless you’re screwing over your friend along the way. Next article This trailer for FURY is still in the fight!